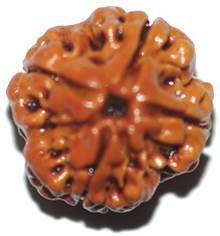 Whenever lagna is mentioned, chandra lagna should also be considered. 1. Lagna or chandra lagna is strong. 2. Lagna is aspected or occupied by good planets. 3. Moon is conjoined with good planets. 4. Good planets in kendra, trikona, 2nd or 8th from lagna. 5. Evil planets in 3, 6 or 11th, aspected by benefics. 6. Jupiter in lagna or conjunct Moon. 7. 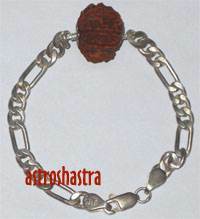 Lagnesh or chandresh in kendra or in mutual exchange. 8. Lagnesh or chandresh in 11th from lagna or Moon. 9. Venus, Jupiter and Mercury in kendras or trikonas. 10. Jupiter in 8th and lagnesh and Moon in upachachayasthana. 11. Lord of lagna and 8th should be friends (alpayu, if enemies). 12. Lord of navamsa occupied by Moon and the lord of 4th therefrom (where moon is posited in a navamsa) should be friends. (alpayu, if enemies). 13. 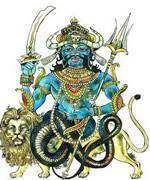 Lord of lagna and 8th strong and in conjunction or in mutual aspect. 14. Either Jup. alone or 8th lord or Sat alone in 8th, provided Moon is not weak. 15. 8th lord in 1 st under aspect of Jupiter or Venus and lagnesh in kendra. 16. Lord of 1st, 8th and 10th and Sat in kendras!trikonas and 11th. 17. Moon as lord of 8th in the drekkana of benefic planet. 18. If adhiyoga or chandradhiyoga exists. 20. 6th lord in 6th and 12th lord in 12th. 21. 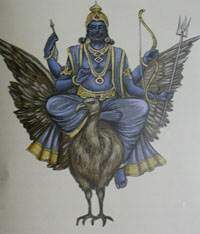 12th lord in 8th and 6th lord in lagna, 22. Both 6th and 12th lords in 1st or 8th. 22. 8th lord, lagnesh and 10th lord, all in kendras. 23. Lords of 1, 5, 8th in own rasi or navamsas or friendly signs. 24. Venus, Jupiter, Mercury in 1, 4, 7, 5, 9, 10th- long life i.e. beyond 75 years. 25. Venus, Jupiter, Mercury in 2, 3 and 11th - medium life i.e. 60 years. 26. Venus, Jupiter, Mercury in 6th, 8th, 12th or malefics in kendra or trikona or in 8th and 12th- below medium life. 27. Divide the twelve houses in 3 groups starting from 1st, 5th and 9th house, and if four or more planets be posited in one single group of houses, the life of the native will be long, medium or short respectively starting from 1st group. (b) Lagna and lagnesh strong and 8th lord does not possess more strength than lagnesh and is not in markasthana, longevity is good. (c) Long life if lagnesh and Moon unaspected by 8th lord and malefics are not in 8th and 12th.